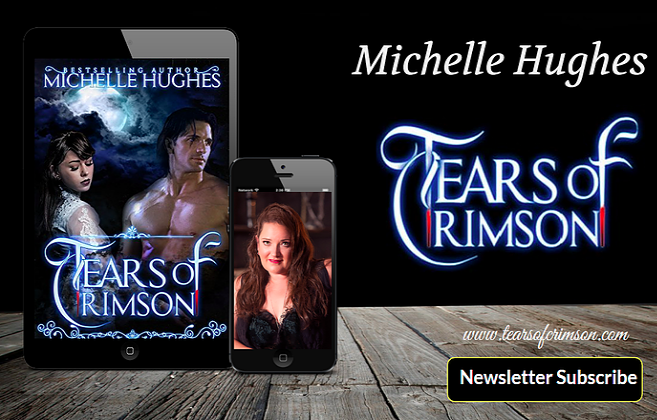 Tears of Crimson: Carlyle Labuschagne takes over Tears of Crimson today! Carlyle Labuschagne takes over Tears of Crimson today! What inspired me to write The Broken Destiny? I finished reading a series called the Twilight Saga – you might have heard of it? Yeah thought so. As silly as its sounds I never really wanted to be a published author, but I had always written – always. I tried my hand at many things poetry, songs, short stories, all just for my own personal bliss. It had been a while since I had written anything, studies, work, kids… you know how it goes. But once I had finished the book saga the hole only grew much heavier, lonelier and darker and what was I to do I needed to be part of something again? So I set out to write in the hopes to be published, to share a story, to touch lives as books and stories have touched mine. But it was much more than that for me, I leaned so much about myself, I grew exponentially as a person. I never knew what a roller-coaster ride this would be, but I am the best person I can be because of it. I have accomplished something on my own! I had seen something through that was much harder to do than anything I had ever done in my entire life – and it was all me! Boy how I have changed in the last three years, what had I been missing all my life? I have never been so happy, so dedicated, so passionate, so tired, and sometimes so tearing my hair out. I love every moment of it! And the best part is it has taken me though a journey of self-discover and one of healing. Every piece I write, I write through experience and raw emotion, yes there is many a scene where I am crying and laughing and I am sure every writer had done the same. Sometimes I do wonder if people would understand this crazy world I live in. But mostly I write because I want people to achieve that same feeling through my words, healing, relating and knowing everything will always be okay, no matter how dark the path – you are the light! What is the Broken Destiny about? It is about self-discover, about growth, about believing in one’s self. 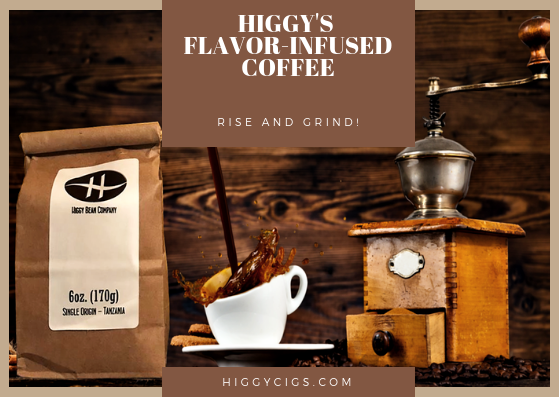 Add a little drama, action, fiction and perhaps some outrageous circumstances. Book One of The Broken Series. Ava's People have been exiled to Planet Poseidon, where through a series of horrific events, Ava discovers that their existence has been fabricated by The Council, And She has a Destiny that could save them. Her Soul is a secret weapon that has been lost to an ancient race. To fulfill her destiny Ava needs to go through a series of "changes" that will reveal her true purpose. Throughout her journey she will become what she hates in order to save the ones she loves. 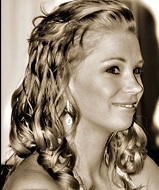 And through it all she will find herself - for that is her Destiny, to rise above the fall. All my life, I had searched for something, something I thought I ought to be. I felt like I was living someone else’s life, waiting for the awakening of my own. I felt like an empty shell burning for life. That was, until the day I lay dying in the prince’s chambers. I could no longer feel the pain from the tear in my gut. The only sensation left was a hollowed-out feeling that I had made a huge mistake in assuming that taking my own life, would have stopped the ancestors’ spirit from raging out. I had given up. I didn't want to see myself killing the ones I loved. I was the Chosen one, but I threw it all away for what I thought would save a life. Could you end a life to save a life? I did, and I have regretted it ever since. I realized then that things like me are not meant to exist. What had been missing my whole life? It was I. To find myself, I had to lose myself in the worst possible way. The consequences of my actions became the legend of The Broken. Carlyle Labuschagne lives in Sunny South Africa , married her high school sweetheart and shares her creativity with her two young boys. Carlyle Works as a PR and Marketing Manager by day, and writes by every other moment. She holds a diploma in creative writing through the writing school at Collage SA. Loves to swim, fights for the trees, food lover who is driven by passion for everything fantasy. Carlyle writes for IU e-magazine an inspirational nonprofit magazine that aims at inspiring the world through words. 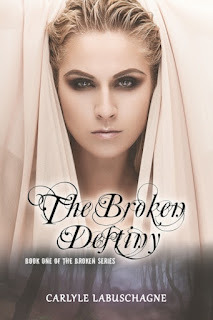 Debut author for 2012 - novel The Broken Destiny . Her ultimate dream is to write songs and direct music videos. Her native language is Afrikaans and has just begun her journey into grasping the English language.